Went to see De Botton last night, courtesy of a friend’s spare ticket and too busy wife. I try to cultivate a studied disdain for De Botton’s brand of PopPhil. But honestly, it’s mostly rooted in envy. Who wouldn’t want to swan around the world, basking in the borrowed glory of real philosophers, talking about the Good, the Wise, the Beautiful? No, that’s unfair and too harsh. De Botton’s brilliance is one of empathetic understanding. He has an ear for the tragic, for vulnerability, for calling attention to the underpants of life, and he’s an exceptional communicator. He brought all these considerable gifts to bear last night in his lecture, On Religion for Atheists. For De Botton, the fundamental question, too often overlooked in a culture of free-market consumption, is, “How to Live the Good Life?” The central premise of the lecture (and in his book I imagine), is that world religions have provided remarkable guidance in exploring and answering this question, but that availing ourselves of these religious insights doesn’t require acceptance of all the supernatural mumbo-jumbo that comes along with. He promotes, unashamedly, a ‘pick and mix’ approach. If religions are cultural products (and they are), why don’t we treat them like we do other cultural products? You don’t need to like every song the Beatles recorded to appreciate ‘Hey Jude’. In the same way, you don’t need to accept every tenet of Christianity or Islam to appreciate the beauty of religious art or religious community. There isn’t really much argument beyond this, the rest of the lecture consists of a curator’s tour of the gallery of world religions, highlighting the bits any self-regarding atheist could happily plunder. The reason that religions have much to teach atheists, according to De Botton, begins with the insight that humans are basically ‘not ok’: the basic human condition is one of vulnerability, fragility, lostness. For De Botton, this is the fundamental truth behind the Christian doctrine of original sin. And it’s a truth that New Atheism, proclaimed from the High Tables of Oxbridge, abjectly fails to reckon with. The modernist humanistic project has been altogether too quick to leave us to our own devices and what is needed is a thoroughgoing reappraisal of our need for an education in the disciplines of living well. Religions understand this, they understand that education is not about skilling people for tasks, but a process of moral formation and guidance to help us navigate the twin uncertainties of our world and our hearts. The rationalist education produces better hairdressers; the religious, better people. 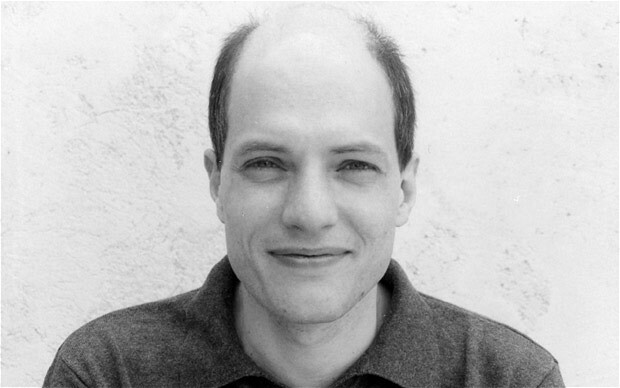 De Botton’s sampling at the bain-marie of religion is guided by his desire to introduce atheists into these effective practices of moral formation. In order to address the human frailties of memory, will, and desire – frailties that ensure that even when we know the good life, we fail to consistently live it – religions apply techniques of habituation, exhortation, organisation, attention to desire, attention to sociality. De Botton spends time glorying in the power of liturgical calendar to ensure we spend time in reflection on virtue (a theme close to my own heart); on the sermon as an art of exhortation (compared with its bloodless alternative, the ‘lecture’); on the power of religions to build genuine community rather than mere voluntary associations; to produce art that moves our hearts toward virtue. All of this was delivered with eloquence, pathos, humour. At this point, I was fairly sure I’d entered into a bizarre parallel universe. The crowd, composed to a measurable degree of those militant atheists who lay their coats down in the street for Richard Dawkins, were lapping this up. I kid you not, one man a few seats to the right of my own, regularly punctuated De Botton’s points with enthusiastic cheers of agreement: ‘Yes! That’s Right! We need that!’ Possibly the most strange moment was when De Botton started talking up the priesthood, commending the idea of having people devoted to guiding us through the various stages of life, providing counsel, conversation, ritual, consolation. He lamented the fact that all that secular society has been able to provide as an alternative is the psychotherapist, ‘and they’re all sitting around in their bedrooms’. Now, my impression is that for most New Atheists, the word ‘priest’ is synonymous with ‘paedophilic leeches upon the common weal’. But the crowd swallowed this down with nary a peep. The lecture ended and I sat there for a while, soaking in the warm glow of a satiated crowd. And I have to admit, I enjoyed it. I don’t think I’ve ever heard a ‘non-religious’ person speak so empathetically and insightfully about the value of practices of Christian community. Nothing De Botton said surprised me, after all, he’s describing things that I love. I think the basic ‘philosophical’ anthropology underlying religious practices in a whole variety of traditions is far more sophisticated and true to the human condition than the thin soup offered by atheist alternatives. It’s not hard to see why: most ‘New’ atheism consists in a frenzied yet parasitically dependent denial of religion. New Atheism doesn’t really have a positive philosophical anthropology, just negations. For that reason, it’s usually not worth getting out of bed to slap down. Ultimately, I’ve decided that I agree with De Botton’s fundamental thesis, I don’t think you need to buy into all the claims of a religion in order to appreciate that it might have some great insights about living well. I’m an evangelical Christian, but that doesn’t stop me appreciating the peacefulness of a Buddhist garden. I differ from De Botton in understanding that what I love about the peacefulness of a Buddhist garden is a reflection of the fundamental goodness with which God created the world. A goodness so abounding that it is refracted through all sorts of human cultural endeavours, including religions that I happen to think are profoundly mistaken; refracted even through De Botton’s ‘tragic’ atheism. Strangely, I found within De Botton’s praise of religion a rather compelling critique of certain versions of conservative evangelicalism. Too frequently, conservative evangelicalism operates with a truncated theological anthropology. As a product of the rationalist Enlightenment, evangelicalism frequently forgets the power of exactly the kinds of practices that De Botton commends: we jettison liturgical habituation to the truths of the gospel, we fail to engage with the fact that we are creatures of desire, of community, who thrill to beauty, who are inescapably embodied. If the full galleries at the Opera House last night are anything to go by, people are craving the kinds of things that make church ‘churchy’. Ironically, in our passion to make churches as welcoming to outsiders as possible we actively trash our rich heritage of these practices until the church gathering becomes indistinguishable from the philosophical lecture, apart from some vestigial (embarrassed) singing. It begins with my nagging sense that the kinds of practices which De Botton most likes about religions are ‘disciplinary’ practices. Following a liturgy, participating in a community, submitting to the authority of a scripture, are all, in an important sense, ‘non-voluntary’. Religious practices universally involve an element of self-surrender, of submission and sacrifice. We scoff at ‘pick and mix’ versions of religion and call them inauthentic precisely because they miss this basic condition. De Botton is right to identify that religions operate with a sense of the fragility of the human condition, but it is a fragility in the face of something transcendent, something that is in principle not capable of subjugation to human powers. What De Botton views as a set of ‘therapies’ for the fragility of the human condition (practices that ultimately circle back to terminate upon the acting subject), religions view as disciplines whose ultimate aim is to properly orient and prepare the subject for an encounter with something larger. Now it would be possible on this basis to say to Alain: ‘you haven’t really experienced religion or these religious practices that you affirm until you’ve experienced them as disciplinary practices, that is, until you’ve genuinely submitted yourself to them as a mode of acknowledging your accountability before the divine/transcendent.’ Now, the mode of submission and accountability required to genuinely experience these practices is in principle incompatible with the ‘pick and mix’ mode of appropriation of these practices for a humanistic end, and therefore, it is in principle impossible for an atheist to genuinely experience the full value of these religious practices. He is condemned to watch from outside the window. To which De Botton would reply (and he did reply to a question along these lines): ‘You’re probably right. However, even if I’m only getting a pale imitation of the full value of the religious practices, what I’m getting is good enough for me and for my purposes of moral formation.’ To which I take my hat off. It’s a very good rejoinder. Religions are paternalistic, it’s a function of the underlying belief that we are frail and in need of guidance. De Botton acknowledged this out the outset and even remarked on the tendency of religions to address adherents as ‘children’. But in most religions (most of the time) this paternalism is held in check and stopped from becoming a terrifying totalitarianism by the belief that humans have a fundamental accountability to God. Particularly in Christianity, a philosophical anthropology of human frailty is counterpoised with a theology of divine sufficiency, of redemptive grace. This is precisely what atheistic humanism lacks. As long as it refuses to admit human frailty, atheism is merely a weird and implausible intellectual fad. But as soon as atheistic humanism adopts a philosophical anthropology of human frailty that it cannot counterpoise against a transcendent sufficiency (and it can’t in principle because of its humanistic commitments) then it struggles to avoid drifting further and further toward a programme of unrestrained social engineering: a paternalism that becomes totalitarian. Humans are left to becomes their own redeemers. And honestly, nothing is more bloody or more brutal than atheists on a quest to redeem humanity. History is littered with examples of precisely the sort of programme of atheistic ‘moral formation’ that De Botton romanticises. De Botton is really just rehashing some of the proposals in Plato’s Republic (poets beware). But these programmes, from Plato onwards, have an unnerving tendency to drift until they becomes something more akin to the Communist ‘re-education’ camp. If the only counter to human frailty is a better engineered human rather than a transcendent redemption, then, in principle, there are no lengths to which we should not go to achieve this ‘new’ humanity. Am I over-reacting? Of course. But it might be worth posing the question. My final reflection, as I wander out from under the sails, down the stairs, and into the night sky: it seems hard to avoid the sense that perhaps what De Botton is providing is not so much ‘religion for atheists’ as a form of atheism for the incorrigibly religious human soul; an athei-anaesthetic for an uneasy consciousness. great article mate, i’m going to share that one. Thanks Wade, I appreciate you taking the time to let me know. Hope it’s useful. Thanks Dan. Really enjoyed your thoughts. Fair Point Cuttlefish. The same thought crossed my mind on the night. I’m sure there is just as much potential variety in atheism as there is in religiosity. Great article! Although I feel uncertain about the ‘bloody social engineering’ call. Why wouldn’t mass atheism treat religion as another form of self-training, somewhat like a hobby? Most people who practice martial arts don’t go around picking fights even though they are the most likely to win them. Wouldn’t the church-attending atheists simply be there to practice disciplining their minds to ‘rise above’ their present lives? Chris Swann and I were discussing your writing recently (we’re collaborating on a project). He was very positive, and for good reason: the conclusions to your posts are amongst the best I’ve ever seen, secular or religious. Notify me of comments via email. [new line] You can also subscribe without commenting. Thanks Jon, I appreciate the feedback. I hope the writing project with Chris goes well. I’m a big fan of that bloke. Thanks for the tip about the comment layout. I’ll check it out. I think there is a difference here between ‘mass atheism’ as a large movement of individuals, each seeking to cherry-pick christian practices; and, ‘mass atheism’ as an organised alternative set of practices derived from christianity but based on a humanistic foundation. A large mass of individual atheists might all engage with religion as a form of self-training, but an ‘organised atheism’ must deal with the question of imposing this discipline on others and of prescribing limits to this imposition. That’s where my unease is coming from. I’m sure that there are also potential atheistic solutions to this problem – attempts to ground human rights in conceptions of rational agency or some other form of innate human dignity (along broadly Kantian lines) seem to be the most promising. But there is no obvious frontrunner in this search for a solution, every theory appears to either include too many types of persons (animals, etc), or exclude those who should intuitively belong (the disabled, infants). [tick box] Notify me of comments via email. [new line] [tick box] You can also subscribe without commenting. Back to the discussion, when I’ve had my debates with the atheists they have actively repudiated the organised movement idea, and in mind I have liturgical practices and whatnot resembling religion, etc. They have told me that atheism is not a positive belief, it is simply a negative – no belief in God. Because of the diversity of opinions held alongside a lack of belief in God, an organised alternative to my mind is unlikely. The tendency that I’ve noticed is simply a battle against ‘irrationalism’, which admittedly tends to degenerate into thinly veiled bullying and abuse of those who are deemed irrational. Which does lend weight to your argument. 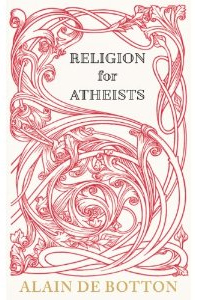 Just wondering, is De Botton actually advocating the construction of an atheist alternative? I suspect it will be a vexed issue. I think it was A. C. Grayling who has put together an instructional moral alternative to the Bible. Whether it is enough to spawn an ‘atheology’ I suppose time will tell. To build a ‘church/club’ based on such a text, seems crazy to me. But I would probably stand with you and say such an idea sounds a lot like many a despotic regime. De Botton’s ‘The School of Life’ project is an interesting attempt to organise some sort of atheistic simulacrum of religion. I take your point about the varieties of atheism. Atheism is a negative belief compatible with a wide variety of visions of the flourishing human life. But the atheist who commits to a particular religious practice obviously does so on the basis of some positive belief about the nature of the good life which would include a negative belief about the existence of God. That atheistic claim functions as a significant limit-condition of the kinds of other positive beliefs that can be asserted. This is precisely what happens when ‘atheism’ morphs into a battle against ‘irrationalism’. There is an unstated set of positive claims about the sorts of things that are good for humans and a limit condition placed upon any appeal to god-talk. And because beliefs about ‘the good life’ are inherently committed forms of belief, it’s very difficult for them not to become the basis for persuasion/coercion of others. We want people to share our evaluations of the good, precisely because we think they are good. But the atheistic condition makes it difficult to prescribe the limits to which we should go to persuade/coerce others of our beliefs. 1. While there might be many varieties of atheism, all atheisms are subsets of positive claims about human flourishing. 2. Our positive claims about human flourishing are forms of committed belief which we seek others’ agreement upon. 3. The atheistic condition within these positive claims about the good life make it difficult to draw boundaries beyond which we should no longer seek to pursue another’s agreement. Are you saying that God belief inherently lends itself towards tolerance more than lack of belief in God? I’m finding it hard to ground this discussion in reality. Do you mind if I make up an illustration? Let’s say Alain the Atheist turns up at church, likes the rituals, likes the sermons (at least the vibe of giving sermons: the moral exhortation based on shared existential assumptions), likes the fellowship. And Alain is so encouraged that he decides to go home, grab a few friends and start up something similar with like minded atheists. A short time later they start meeting together in a nice old building, they start discussing philosophy and exhorting each other to good behaviour (flourishing), and afterwards they hang out and crack jokes together. It seems like you are saying that something about this state of affairs lends itself to totalitarianism. I think Alain and his mates will have difficulty grounding their moral standards in a universally agreed foundation. But even if they did come to a foundation I honestly can’t see why violent intolerance of irrationality necessarily flows from this. Partly because in educated societies foundations get endlessly tested, questioned and re-evaluated.But also because human rights to life are relatively universal these days and likely to be adopted by any atheist foundationalism. The problem with atheism isn’t that the belief lends itself to inconsistency or immorality. Belief systems don’t do that, they move towards coherence and conservatism. The problem is that they are promoting living a life without giving glory to their creator. People are either turning their hearts towards their creator or not. Atheism makes one claim only: that there is no one there to receive your heart. Given the claims of Scripture, this is a risky claim that has consequences should there be a God. I do agree with you regarding papermind’s last point: “The atheistic condition within these positive claims about the good life make it difficult to draw boundaries beyond which we should no longer seek to pursue another’s agreement.” The problem here is oddly framed, given what goes on in the real world. There certainly are boundaries–they come from history, from psychology and sociology, they come from philosophy. There are a wide variety, just as there are a wide variety within the various religions. But… there are rarely claims of absolute knowledge, and the extremes of behavior that come from the religious certainty of being right. Was it atheism that historically sent missionaries around the world to convert the masses and conquer the pagans? Is it atheism that rakes in the money televangelizing and faith-healing? Good thing religion is able to draw appropriate boundaries beyond which… oh, wait, religion is no guarantee of boundaries, appropriate or otherwise. Thanks for both comments and taking the time to formulate them so well. I don’t disagree with anything that either of you have said. In the original article I was trying to steer away from making any crass claim like ‘atheism leads to totalitarianism’. Reading back over my previous comment, I obviously failed to communicate that clearly. Apologies. It is also obviously not true that being ‘religious’ necessarily makes a person more ‘tolerant’. The varieties of religious and historical experience make a mockery of such a claim. I think there are good reasons for this which are related to the fundamental nature of religious belief and are part of what make religions ‘good’. But that’s another long discussion. My original claim related to an atheism that sought to borrow for itself some of the paternalism inherent within religious conceptions of moral formation. This was very clearly the position stated by De Botton. I suggested that his atheistic commitment would lead to the rejection of one of the balancing factors (a belief in transcendent redemption) which operate alongside paternalism (at least within christianity) in order to stop that form of moral paternalism from becoming something like an attempt at totalitarian social engineering. So, [John] your example needs to involve a group of people who not only seek to replicate a religious community, but who actively seek to replicate the disciplinary structures of a religious community and advocate their replication beyond their voluntary ‘club’. This might bring us back to your earlier comment, do any such groups of atheists exist? Surely atheism as a negative belief isn’t sufficient to generate such a community? Well, that’s a problem for De Botton. He’s the one advocating ‘religion for atheists’ and the adoption of moral paternalism among atheist societies. Maybe it’s doomed to fail, I’m just raising one of the potential hazards of its success. In my previous comment I was going beyond my original article by suggesting that any society committed to a shared moral vision and the disciplinary practices necessary to cultivate it would face a struggle about how to limit the exercise of this disciplinary power if it also accepted an atheistic limitation upon its belief system. I’m being careful to claim here (as I was in the original article) that this is a difficulty, not an impossibility. I don’t think I’m the only person who has ever suggested that the question of securing a non-religious ground for a conception of inviolable human dignity is difficult. It’s one of the busiest areas of contemporary moral philosophy! This does not amount to the claim that atheism is necessarily internally incoherent, or that the problem of non-religious grounds for human dignity is insurmountable, anymore than I would suggest that Christian theology is free from its own particularly problematic areas. I have great faith in the creativity of philosophers. The problem with atheism isn’t that the belief lends itself to inconsistency or immorality. Belief systems don’t do that, they move towards coherence and conservatism. I agree with this, in fact, I thought your final paragraph was a cracker! (I think we could have a really interesting discussion about it). However, the fact that this is generally true doesn’t mean that every particular argument is coherent. I was trying to point out what I saw as a potential weakness in De Botton’s position in particular. Thank you both for your interaction. I’ve really appreciated it. Nice response. In coming to terms with what you were saying, I hadn’t fully grasped De Botton’s intriguing appreciation for religion’s moral paternalism. I’m starting to see your argument more clearly. I have to agree: that kind of atheist moral paternalism coupled with evangelism would be hard to keep in check especially if taken up by the masses. I hope you don’t mind if I sidetrack for a moment. All this discussion of the weaknesses of atheism has reminded me of my latest polemic against atheism (I laugh myself to sleep over this one): Atheism will hinder you from getting promoted and securing important business deals. I was reading a great new book called “The Charisma Myth” by Olivia Fox Cabane who advises top business executives on mastering confident ways of presenting themselves under pressure (being more charismatic). She says that increased uncertainty in any given situation tends to result in anxiety, and anxiety plays out in subtle body language and behaviour that can make you appear less confident and thus less able. One technique she encourages is deferring responsibility to a higher being. She tells her clients that when they are about to undergo a situation of uncertainty (such as an interview or an important business deal) to imagine that there is a benevolent, caring higher power in the universe. They are to hand over responsibility for the result of that situation to the higher power and proceed to go through with it knowing that no matter what, the result of the situation is under the control of this benevolent being who cares for them. To me it all sounded like ‘Christian Living 101’, but I started thinking of all the atheists out there reading this book. Of course it’s just a mind technique and atheists can use it like everyone else. But [read aghast atheist tone] what self-respecting atheist will go through with such nonsense?! I have no belief in such a power in the universe! That would be irrational!! OR an atheist might choose to go through with it and force themselves to imagine a benevolent power in the universe (you know, for evolutionary survival purposes, like what Darwin says)…. Either way the existential hesitancy/weird hypocrisy feeling surrounding the whole exercise will probably lose them the job or the deal. Fortunately, there is no shortage of advice when it comes to self-presentation strategies; both the pop-psych and actual evidence-based psych sections of any library or bookstore have such books by the metric ton. Given the variety of individual differences among atheists, I strongly suspect that there will be several different favorites among these books. For those who have no trouble imagining, Fox Cabane’s book might do the trick. For those who prefer to be closer to the data, there is a rich literature which she draws upon but does not cite, that is available in journals, in trade academic books, and in other popular press titles. Her imagination activity is but one means to an end; the end product (body language) does not require religious belief. Of course, one could argue that atheists might be in less need of such coaching in the first place; the data show that atheists are, on average, in higher income brackets than believers, perhaps because atheists are, on average, better educated than believers. I’ll take that over a pop-psych self-help book any day. This remains both incredibly insightful and a beautiful and relevant piece of writing a year after the fact. Thanks Dan.